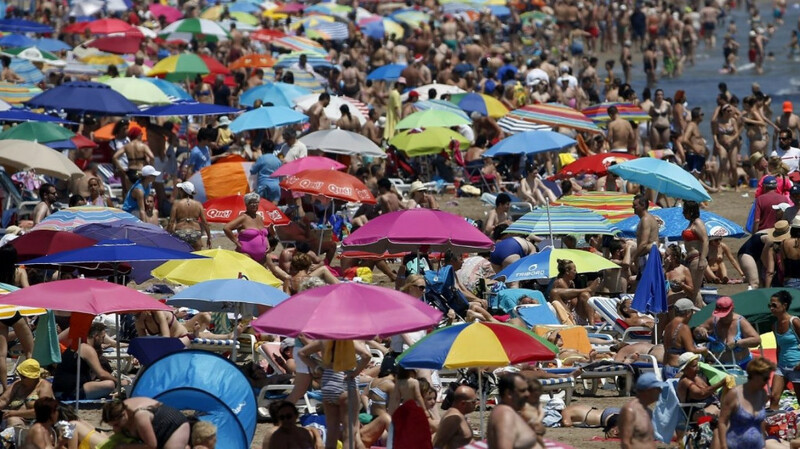 The amount of money spent in Spain by foreign visitors has reached a new record high. According to the data published by the National Institute of Statistics, foreign tourists who visited the Costa Blanca up to July increased their spending by 19% with a total turnover of 4,740 million euros. The average expenditure per visitor and trip is at 1,023 euros representing a 5% increase, while the daily average stands at 95 euros, 12% more. Foreign tourists who visited Spain in July spent 11,902 million euros, up 16.3% on the same month of 2016, according to the Egatur poll. Each international tourist spent an average of 1,132 euros in July, an increase of 5.6%, with an average stay of 8.2 days. The average stay on the Costa Blanca was 11 days. Around 20% of the total expenditure was borne by the British (9,898 million), followed by the Germans with 13.3 % plus, the Italians (11.6%) and the Nordic countries (16.1%). The province of Alicante continues to be one of the cheapest destinations of the Spanish Mediterranean coast and the perfect place for water sports, golf, shopping, sunbathing and much more. Check out our Costa Blanca properties for sale!